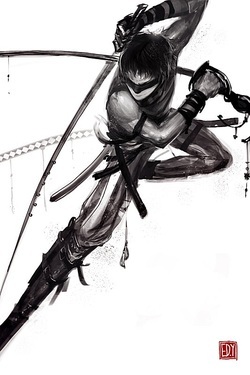 Preferring to lose the simple fistfighting of their brothers, the Bladers are attuned to their blades to the point that they view the blade as an extension of their own body. Bladers of the Way practice with their blades every twilight, and every dusk. The setting and rising sun, according to the Way, gives their blades the essence of their life force. Whatever the case, a Blader is never seen replacing his blade after he has chosen one that is right for him.